A new report presented at the International Labour Conference questions sourcing standards being followed by global clothing brands, and calls for greater accountability for widespread gender-based violence and harassment. New Delhi: On September 27, 2017, Radhika, who is engaged in making garments for the multinational Swedish clothing brand H&M in Bengaluru, was hit and kicked by her supervisor for “not meeting the production target”. Radhika, a single mother with a physically-challenged daughter, is among hundreds of women workers in H&M’s garment supply chain who are exposed to daily violence, says a new research report, ‘Gender based Violence in the H&M Garment Supply Chains‘, presented to the International Labour Conference being held in Geneva. The report, which covered H&M supplier factories in India, Bangladesh and Cambodia, comes at a time when negotiations are underway at the International Labour Organisation to create a global standard on women’s labour rights, and calls for strong accountability for women facing violence and abuse across the global supply chain. “Barriers to accountability include: unauthorised subcontracting, denial of freedom of association, failure to require independent monitoring and gendered cultures of impunity among perpetrators of violence and prevent women from seeking accountability and relief,” says the report, calling for immediate action by H&M. In Bengaluru, women working in H&M’s supplier factory are mainly engaged as line tailors and helpers or roles as machine operators. Across factories, women workers also complained of physical harm due to long working hours and performing repetitive manual tasks. For example, women engaged as machine operators in an H&M’s supplier factory in Tiruppur reported ulcers and piles from sitting hunched over machines for long hours. “Women working as checkers in the same factory reported getting varicose veins as a result of long hours of standing and checking,” says the report. Sexually loaded comments and abuse by supervisors were also reported by some women in the H&M supplier factories in Faridabad and Gurugram. “Supervisors call women with small breasts trangenders. They pass comments like: “Look, a man has come to work here,” a woman respondent said. A majority of women said they feared retaliation if they complain, adding that they had no right for any union activity or ‘freedom of association’ due to long working hours. “Once, I along with others, went to the manager because our wage was not being paid properly. They fired us all – not together, but slowly, over a period of ten days. They came up with some excuse or reason to remove us,” said a woman worker from an H&M supplier factory in Gurugram. The survey also found that H&M supplier factories in Haryana fire and rehire workers to avoid paying benefits associated with seniority. “In Khandsa, workers experienced sudden layoffs in September 2015. At the time of investigation, this H&M supplier held six production units….It shut down Plot 7 due to low orders. All workers were terminated and given their dues. Buts 25 days later, this H&M supplier reopened Plot 7 and hired workers from plot 342….As a result of the manipulation, Plot 7 workers lost their seniority and gratuity….”. In all four factories surveyed for the study, about 50 workers reported that women are fired during pregnancy, while permanent workers said they were forced to take leave without pay during till childbirth. Contract, piece rate and casual workers said though they are reinstated after childbirth, their get new contracts and lose their seniority in the process. In India, women account for 60-75% of the garment workforce, but rarely hold management or supervisory posts, the report pointed out. The report, which surveyed gender hiring practices in six H&M supplier factories in India, Bangladesh and Cambodia between February and May 2018, found that most of the women, concentrated in short-term, low-wage positions, were at a daily risk of violence and harassment at work. In India, the survey, done by Society of Labour and Development in association with the Asian Floor Wage Alliance, covered H&M’s supplier factories in Tiruppur (Tamil Nadu), Bengaluru (Karnataka) and Gurugram (Haryana). Incidentally, H&M supplier standards are limited to addressing tier-1 companies and sub-contractors, and the company does not commit to ensuring that its “non-direct” business partners in the supply chain also uphold these standards. 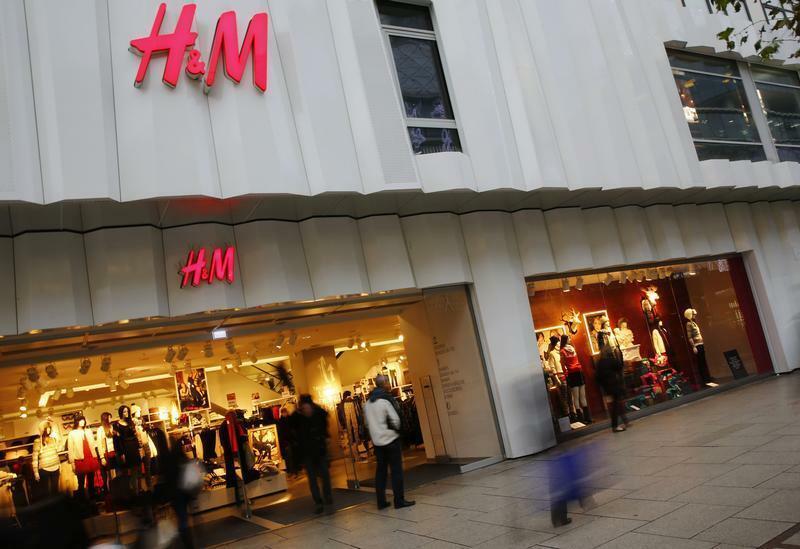 According to H&M’s supplier list, cited by the report, the brand had sourced garments from 53 factories this year, but labour experts feel the number may be higher. In fact, as per the premium brand’s most recent supplier list, H&M purchases from 235 garment supplier factories in India. According to shipping data in 2018, over 1.6 million kilograms of goods were exported from Indian supplier factories to H&M until May 2018. In India, the sub-contracting business across industries increasingly relies on contract workers, leading to large-scale informalisation of workforce which is denied basic benefits and rights. In this context, the report also flags concerns over the Narendra Modi government’s proposed Industrial Code Bill that threatens to further undermine accountability by weakening government inspections, diluting arbitration and dispute settlement mechanisms and creating barriers for trade union registration among others. “All forms of abuse or harassment are against everything that H&M group stands for. Violence against women is one of the most prevalent human rights violations. Gender-based violence makes women all around the world suffer daily and undermines their health, dignity and security. This is why we welcome any initiative strengthening the human rights of women at work, such as the international convention against gender-based violence being discussed within the ILO. This article was updated on June 4, to include H&M’s statement.